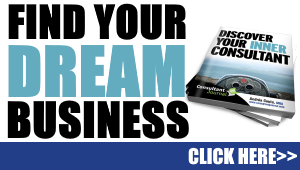 Independent consultant rates are something that all consultants are curious about. What should your independent consultant rates be? How much are your peers and competition charging? 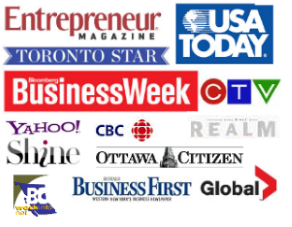 Are your independent consultant rates to low or too high? Setting your rates as a consultant is crucial. Charge too little, and you’re short-changing yourself and making it more difficult to succeed as a consultant. Charge too much, and you might find it difficult to get off the ground when you become an independent consultant. If you’re charging independent consultant rates you want to feel confident in what you’re charging. 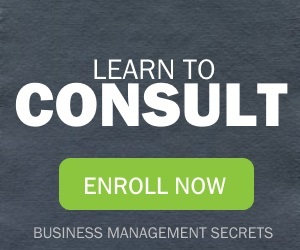 And how do you gain confidence in your fee structure? Confidence and knowledge are intertwined. You want to understand the rationale behind your rates and understand what you offer your clients. 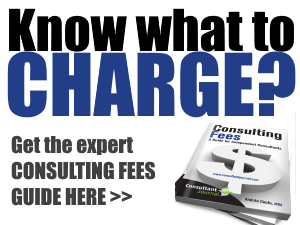 I’ve written countless articles on this topic, as well as a comprehensive book that will help you learn a system for setting consulting fees: Consulting Fees – A Guide for Independent Consultants. Remember, as a consultant, there is almost nothing more important than your rate. Independent consultant rates send a message about your value and can mean the difference between success and financial freedom.